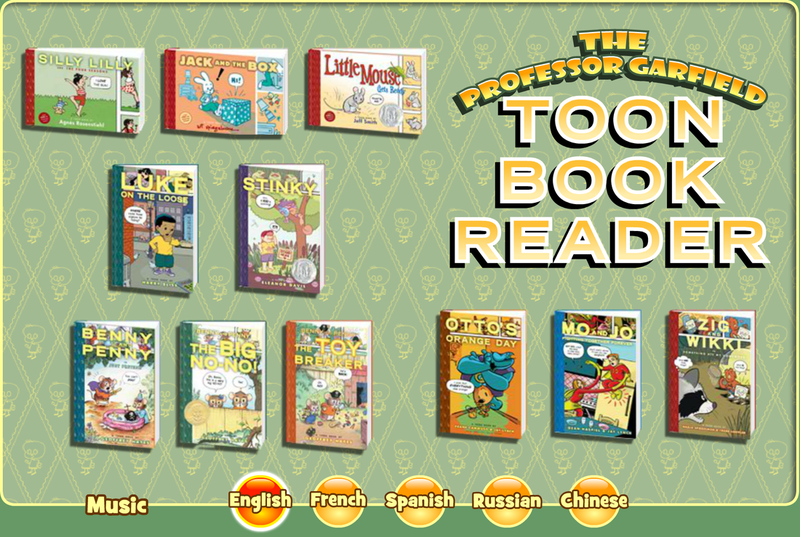 This entirely FREE resource allows children to read select TOON Books online...and in multiple languages! Children can listen to the entire text using "Read To Me" or activate the audio prompts on individual balloons when they need a little extra help. TOON Readers were developed in cooperation with Professor Garfield, a non-profit educational collaboration between Garfield the Cat and Ball State University. For children studying two (or more!) languages, select TOON Readers are also available in multiple languages! TOON Readers are an excellent resource in the classroom for ESL and ELL students.